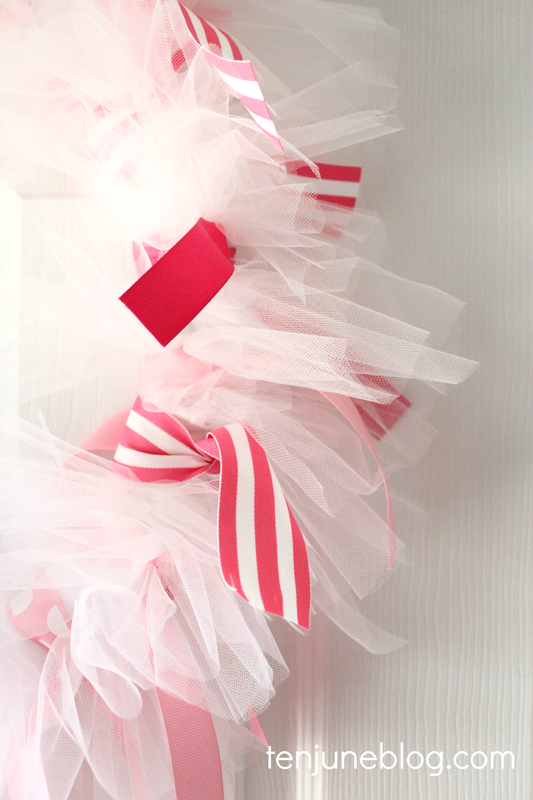 I'm excited to share one of my favorite DIY projects from Little Lady June's nursery- the ribbon and tulle wreath I created for her closet door. While slightly time intensive, this is a simple project that would be perfect in a nursery or kid's room or even as decorations for your next party or holiday. To start, I covered my metal wreath form with white felt so that the black metal wouldn't show through the white tulle. You could also spray paint the wreath form or buy a white one (duh). After covering the wreath form, I started tying strips of white tulle over and over and over... and over. Each strip was about 4-5 inches long, but you could make yours longer or shorter depending on how flouncy or tight you want your wreath to be. Keeeeep tying. At some point I had David jump in (don't tell him I told you that!) because there were hundreds of these things to tie. I didn't double knot each strip, but simply tied once around the wreath. I made sure the next strip was placed right next to the previous strip. They were almost on top of each other they were so close so that my wreath was nice and full. Phew. We've got ourselves a fluffy tulle wreath. Now it's time to add some pretty ribbon. Since my wreath was for June bug's room, I used alternating strips of plain, polka dot and striped light pink and dark pink ribbon. You could do green and red for Christmas, pastels for spring, green for St. Paddy's Day... you get the point. I took the unplanned approach and sort of randomly tied the ribbons where I thought they looked nice amongst the tulle. 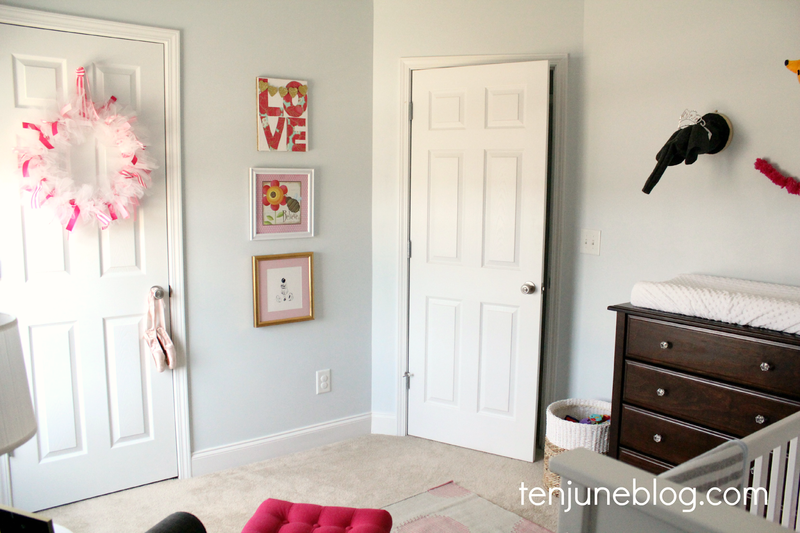 And here's the pretty wreath in her nursery! 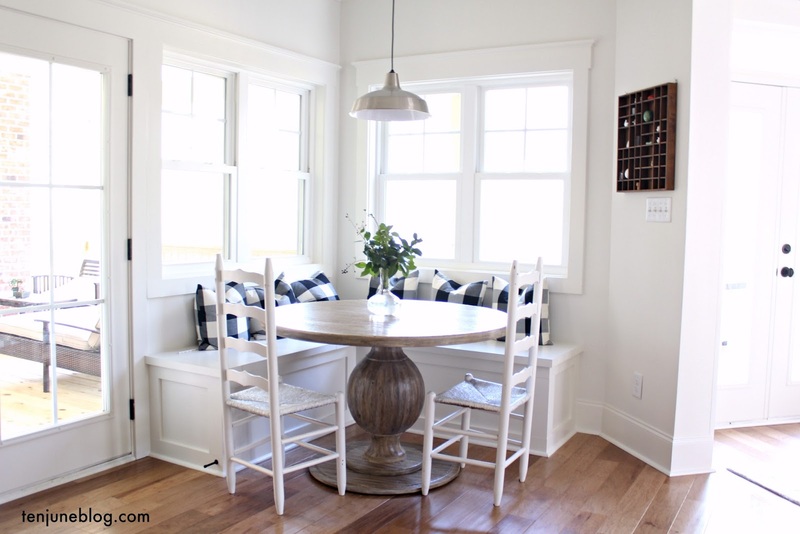 Such an easy and fun little project, right? Cute! Thanks for sharing, it seems like a nice easy craft you could customize for many different occasions, but I can definitely see it's one to be done when you've got some tv shows to catch up on! So cute! 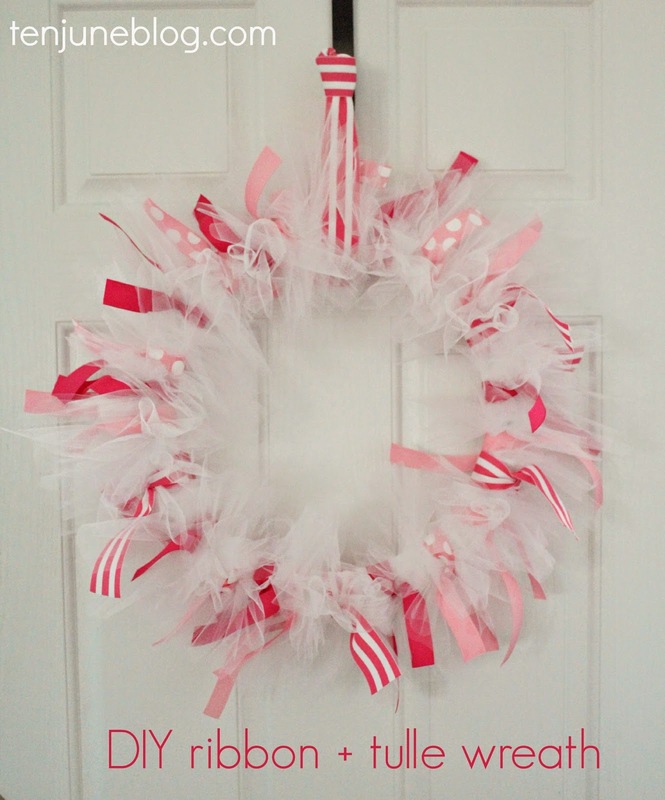 I love the pink and white stripe ribbon! Cute! I really love all the soft girly-ness of the tulle! Cute cute cute! Love this idea. So sweet and girly. This is so cute! I love the ribbon and tulle!